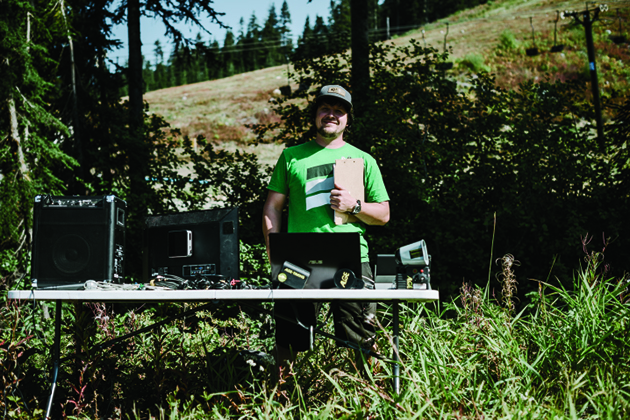 In the seven years he and his Dry Hill partner, Casey Northern, have been running the races, Tucker has taken on every responsibility possible, so he knows exactly what it takes to create a successful event. SCROLL THROUGH THE PHOTOS ON SCOTT TUCKER'S PHONE and you might be surprised by what you see: South African downhill legend Greg Minnaar with a tortilla stuck to his face via a blob of guacamole, British DH phenom Josh Bryceland wearing a Corona bucket as a helmet to protect against edible projectiles and other conversation-inducing images of mountain-bike royalty. Most of the oddities are from the past few years of the Northwest Cup's premier event: The Underworld Cup and its subsequent post-race food fight, which has become an annual tradition. Tucker's roots in mountain biking go back a couple of decades. His first memory of getting rowdy in the woods with his buddies was in 1983 on his Takara BMX in Sequim, Washington. "We had a 9-mile DH trail above our neighborhood," he says. "The parents would shuttle us and we'd bomb down the hill with no brakes. That was a rule." Eventually, Tucker began riding XC and moved to Valencia, California, to race alongside a sales job at AXO clothing. While in Valencia, he stumbled upon two downhill races that hit the sweet spot that seems to reside in every gravity racer's head: The Victor Vicente Classic and the Kamikaze Downhill. While the racing was good, the lack of seasonality was taxing, and within a year Tucker returned to the Pacific Northwest and found himself re-exploring the area on his XC bike. While out for a ride in 2002, he accidentally stumbled upon a trail that he assumed was for motos. What he'd discovered was a local gem called "The White Knuckle"–the one and only downhill trail in the Port Angeles area. Instructed to cease building or contact the DNR, Tucker was faced with a dilemma. While most people would have either ignored the note and kept building or have been intimidated enough to stop, he opted to go straight to the DNR to try to work out a deal. Fourteen years and 15 trails later, the area known as Dry Hill now hosts one of the largest downhill racing series in the United States. That discovery sparked a fire in Tucker to go find better trails. After a visit to the CBC trail and Mount Seymour on the North Shore of Vancouver, British Columbia, he wanted to build a similar trail back in Port Angeles. He and a friend retraced their ride to The White Knuckle zone and began building a trail they would call "Limbo." About a week into the build, Tucker noticed a Ziploc bag nailed to a tree. Inside it was an article torn from Bike about rogue trailbuilders going to jail, along with a note from the Department of Natural Resources, which owned the land. Tucker's achievement with the Northwest Cup is a testament to his determination to make this one thing perfect. He credits the success of the series to simply being a former racer himself and knowing exactly how he would want things to be run if he were a participant in the event. Now, this is an office. 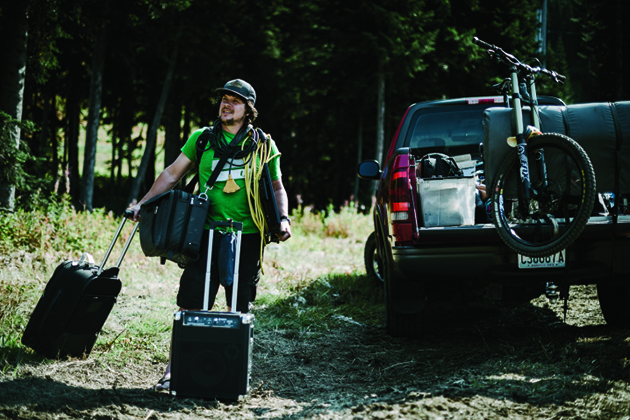 In the seven years he and his Dry Hill partner, Casey Northern, have been running the races, Tucker has taken on every responsibility possible, so he knows exactly what it takes to create a successful event. 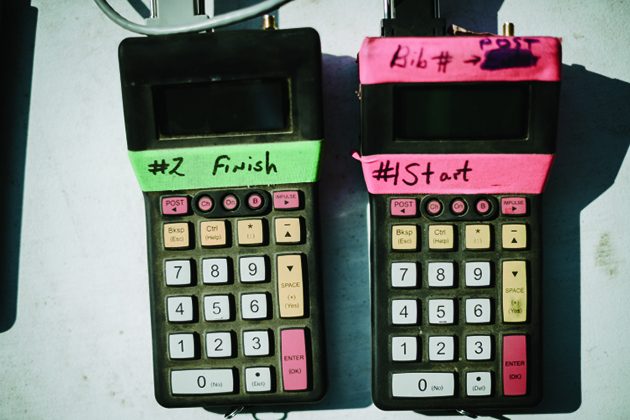 Announcing, building, scheduling, timing, marshaling, course taping, on-site helmet and bike swaps, and even providing hot dogs at the fire pit are all part of running a perfect race. His passion is equal parts warming and inspiring. Watching him at an event is reminiscent of the old cartoon of the Tasmanian Devil, except that Tucker is always friendly and well organized. Beyond putting on a great race series, his contributions to the Northwest bike scene are innumerable. Each year, the revenue the city of Port Angeles has gained from the Northwest Cup is about $750,000. The seven years of racing have brought more than 10,000 competitors through the various Northwest Cup venues, many of them first-time racers. The trail network is one of the only legalized downhill networks in Washington state and has undoubtedly increased bike sales in the area. But perhaps the biggest contribution is his willingness to give people whatever they need in order to access the trails. "People ride my bikes a lot more than I do," he laughs. At each race, he even holds an "ugly helmet competition" in which the helmet that is most in need of being replaced gets thrown away in favor of a brand-new lid. Tucker's dedication to the Northwest Cup is impressive, especially considering he also has a full-time job as an engineer rep for a local power company, a side gig as a caterer and a family. At 44 years old with a wife, two daughters and a retired trail dog at home, his spare time is fleeting, but he manages to incorporate family into his love for riding. It's not uncommon to see his kids hanging around the race pits or helping out on dig days. While family is his main priority, the pull of running a huge race is undeniable. "I guess I'm a bit of a pro ho," he jokes. "In all honesty though, I think I've just found my calling. The feeling I get from putting on these events is incredible." The Underworld Cup (held the weekend after the Sea Otter Classic) routinely draws about 30 top World Cup racers in a pro field that's about 140 riders strong. It's not unusual to see the full teams from Trek, Giant, Specialized, Norco and other powerhouse crews make the pilgrimage to Port Angeles' amazing dirt. With the influx of pros comes the flood of crazy spectators, and Dry Hill has also become known for its world-class heckling. On any given race run, riders can expect to be greeted by American flags, horse heads, full moons, blasting boom boxes, dancing robots and some of the most creative cheers ever heard. Tucker seems to thrive on challenges that would discourage others. Go up against the government to get land-use permissions? Sure. Bring the finest World Cup racing talent to a tiny logging town in the far northwest corner of the country? A cakewalk. Okay, perhaps it wasn't always so simple, but that's what separates guys like Tucker from most people: perseverance. While not everyone will have a chance to witness a World Cup in person, thanks to Tucker, the chance to watch Canadian DH standout Stevie Smith race and then fling a taco at him is better than ever. This story originally appeared in the December 2014 issue of BIKE.